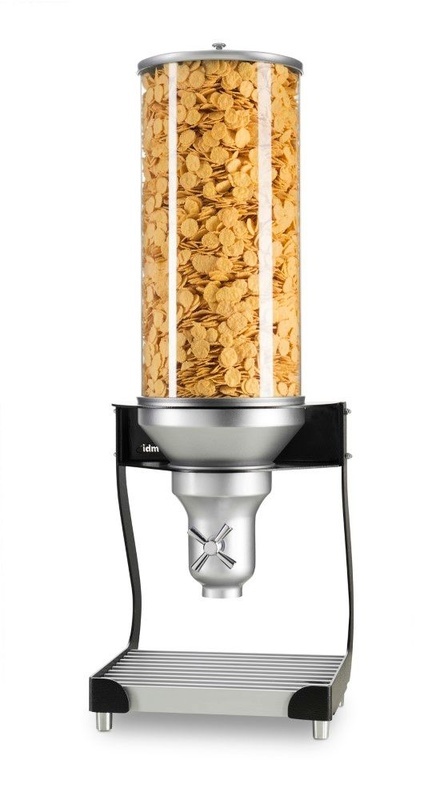 IDM are the proud inventors of the world famous cereal dispensers. 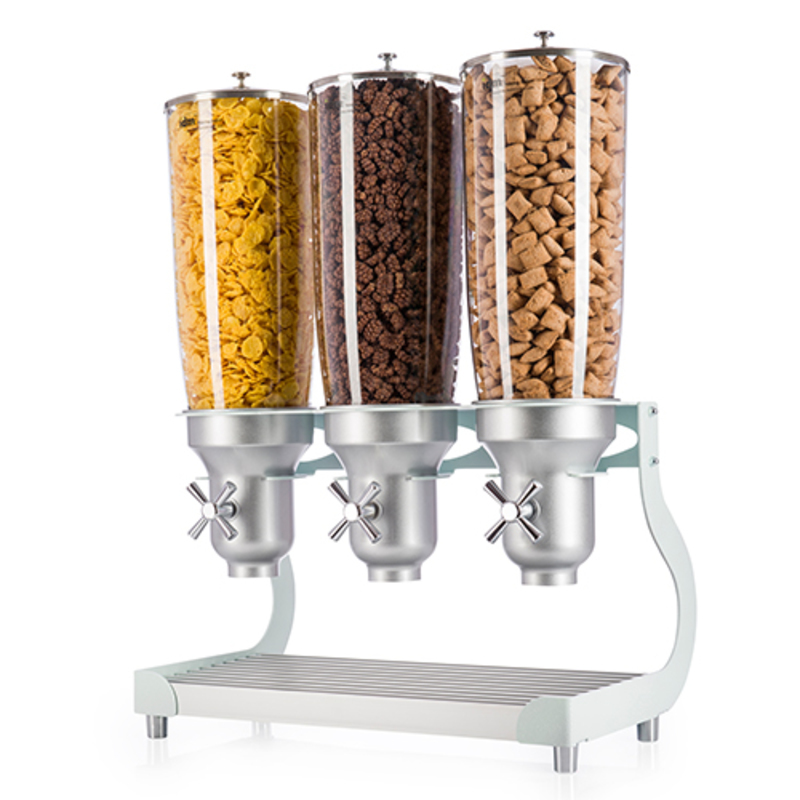 It all started with a tiny workshop and a big vision for creating habits that are simple and routines that make life easier. 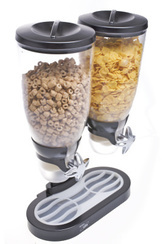 Immediately after, we had begun to develop the first cereal dispensers ever created. 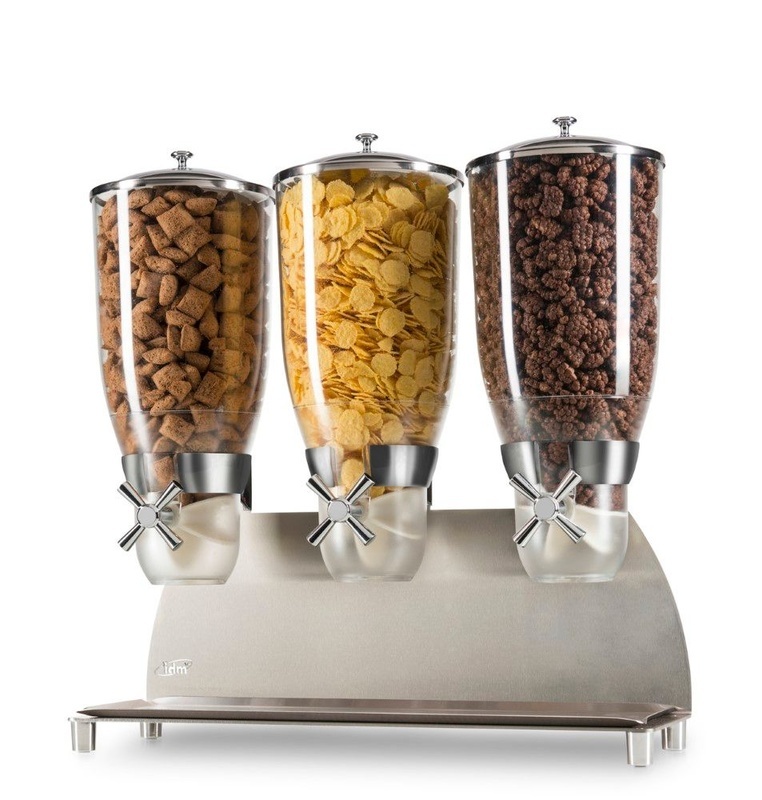 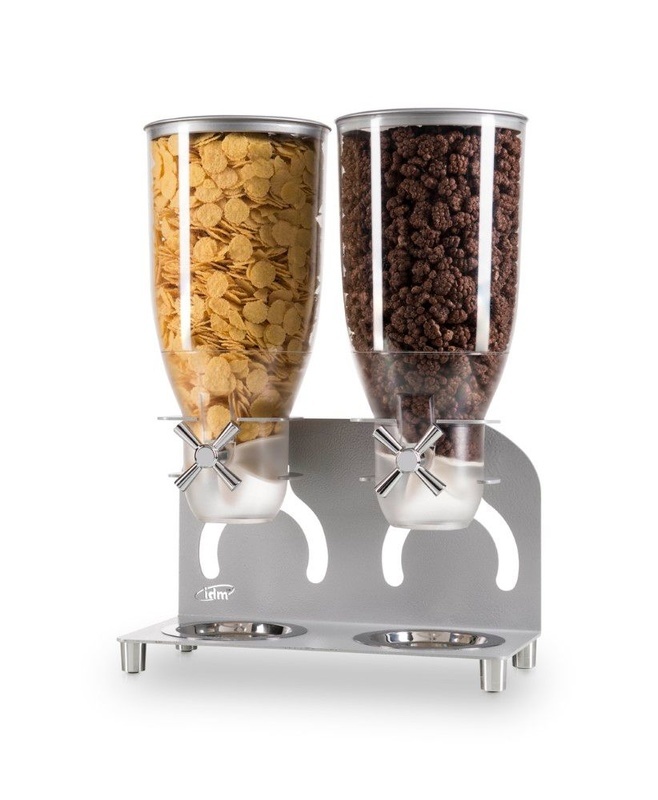 Since then, IDM has supplied thousands of hotels, caterers, stores, restaurants and retailers with our wide variety of cereal dispensers, designed to fit their exact business needs. 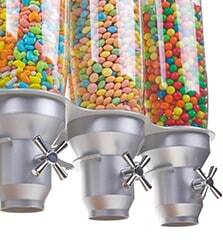 IDM'S dispensers are fitted for all cereal brands and are the optimal way to dispense cereal in a manner that is hygienic, esthetic, fresh and with style. 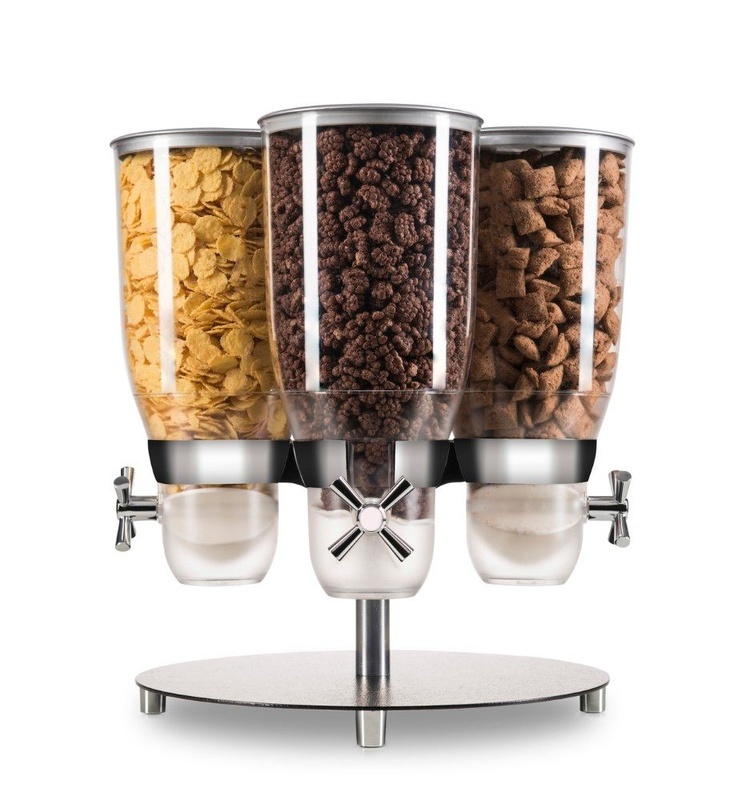 With a wide range of models, mechanisms and designs to choose from, you are sure to be well served with IDM'S Cereal dispensers. 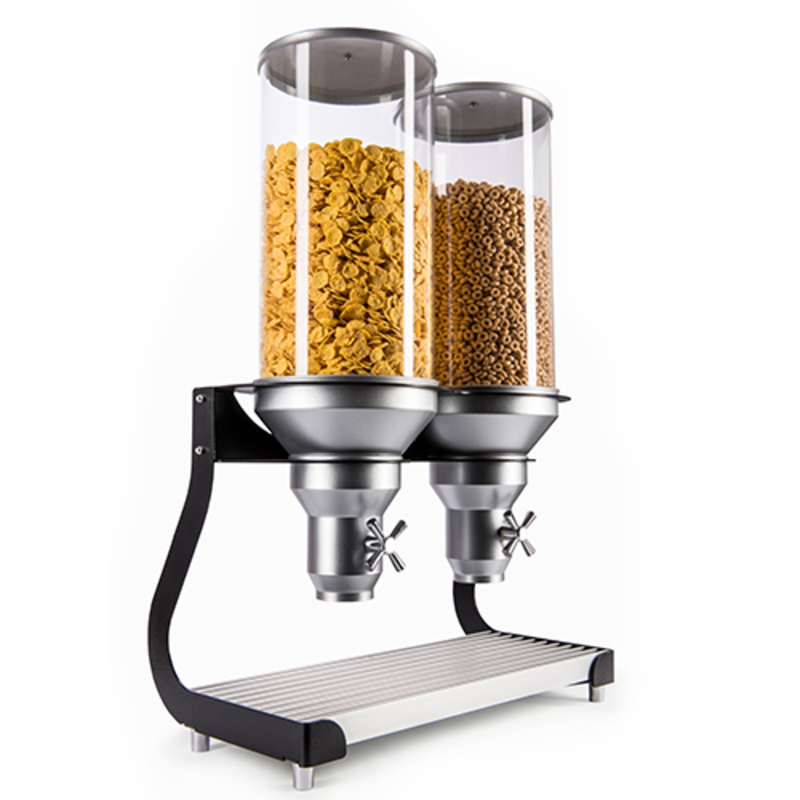 When you've got IDM's cereal dispensers, serving cereals has never been easier. 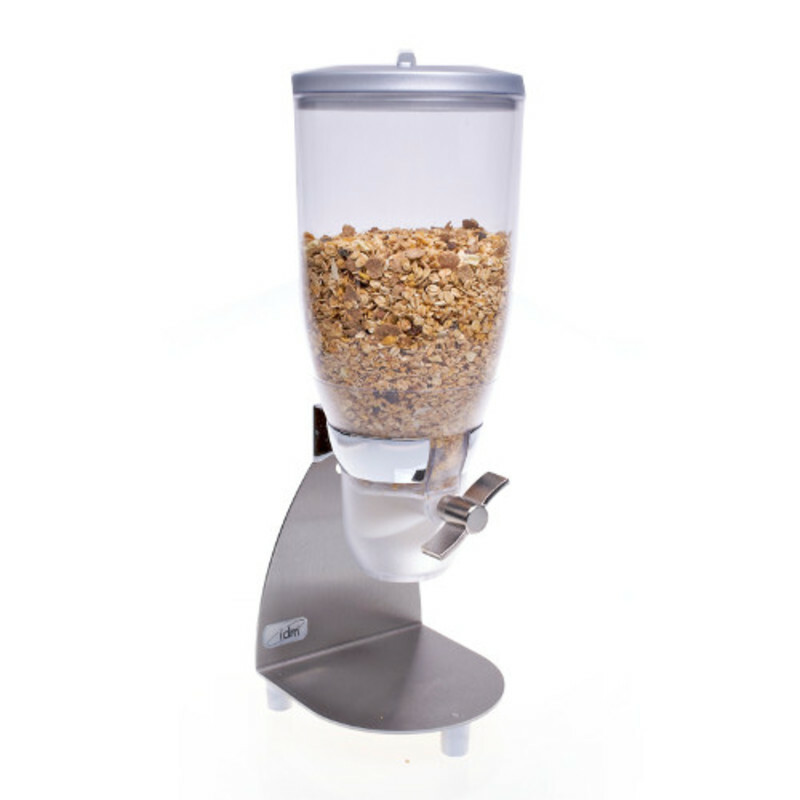 They're very easy to use, suitable for every type of cereal, have a unique portion control mechanism and are cost-effective, helping to avoid spills and keeping food completely hygienic thus reducing package waste and environment impact – when you get everything you need in one package, whether for private use, for shops and stores, or for the food industry, life simply becomes easier. 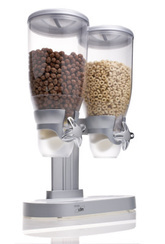 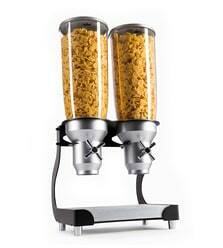 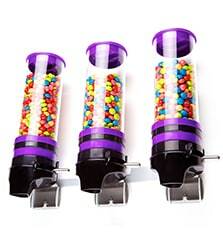 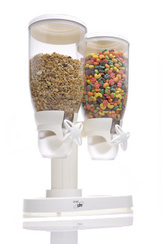 Looking for more Cereal Dispensers? 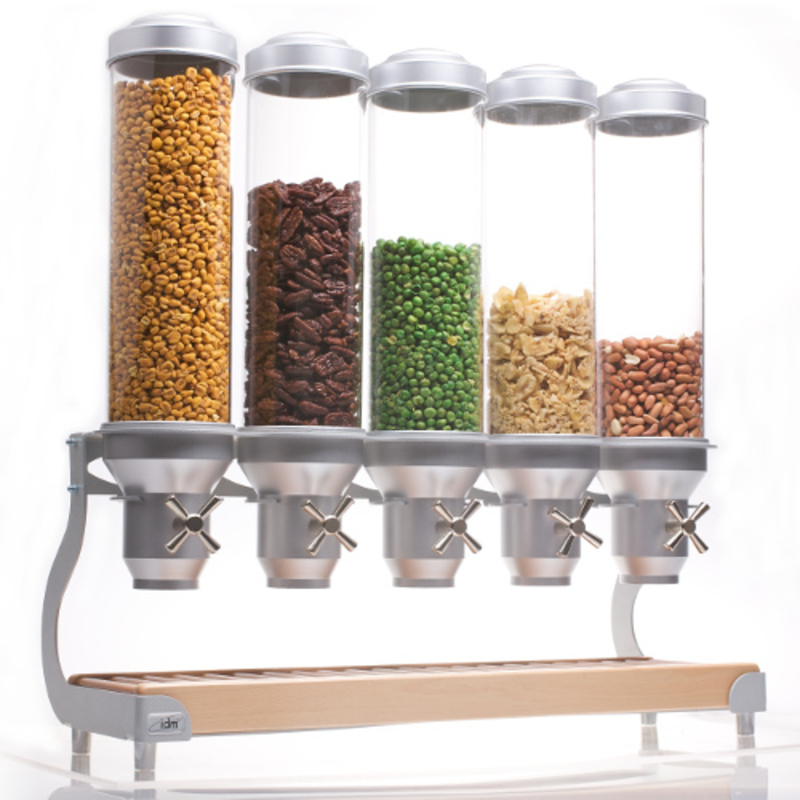 Go to Page "2"
The year was 1995 and the world of food storing and handling was soon to change forever! 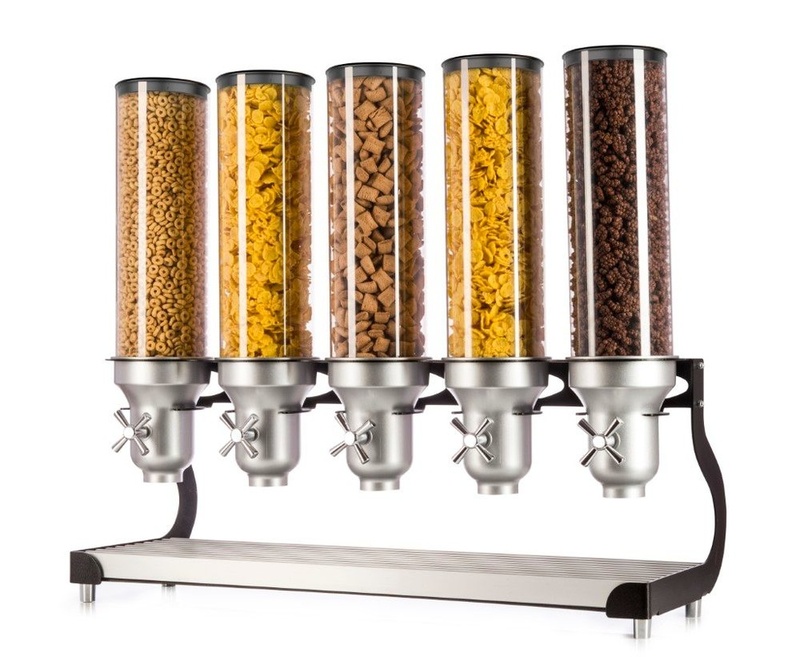 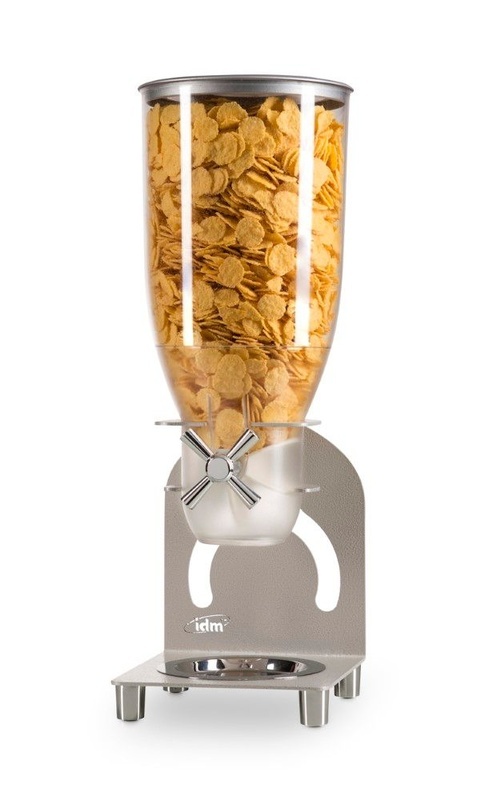 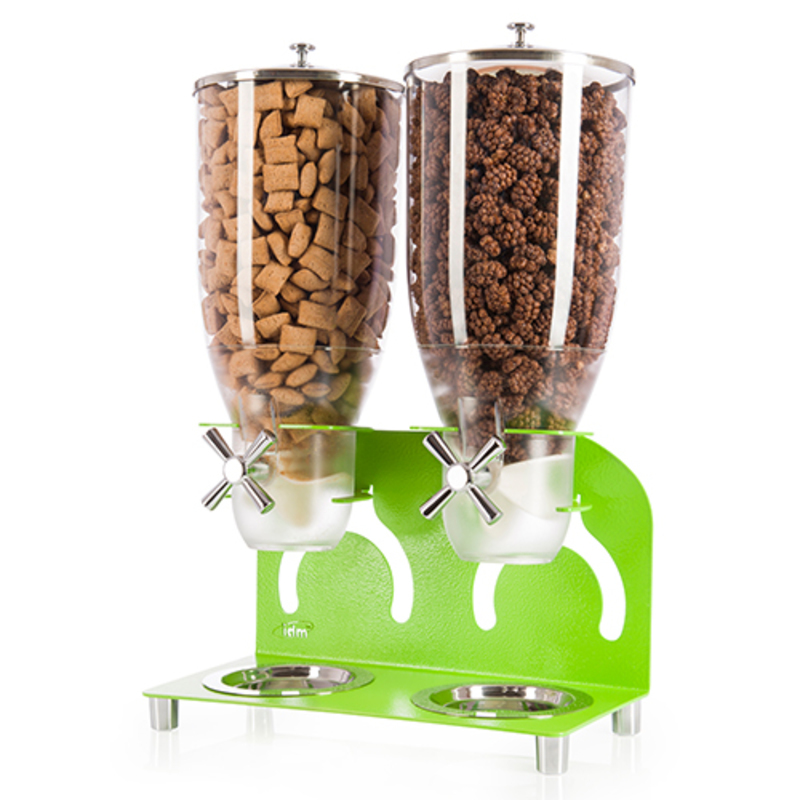 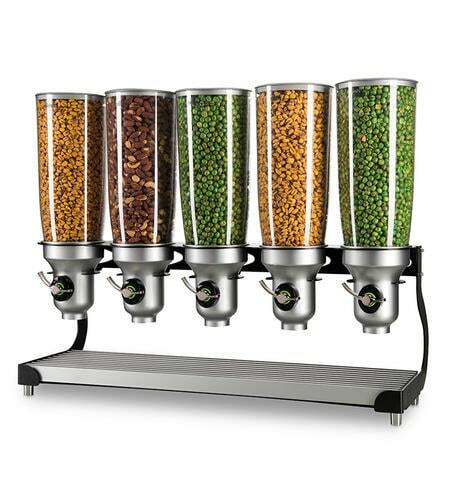 That year, IDM has invented the innovative and exciting concept of dry food dispensing devices, featuring designed and easy to use cereal dispensers. 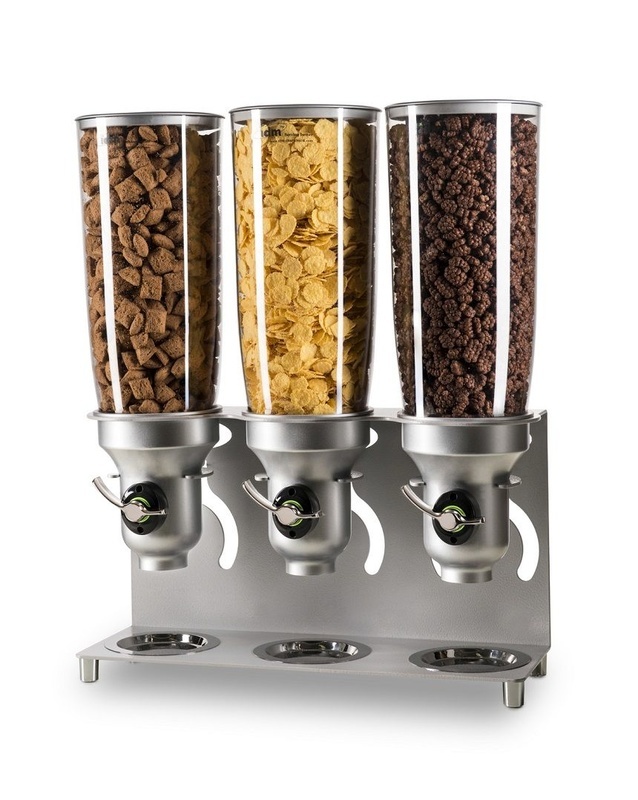 Since then, thousands of homes, commercial businesses, hotels, caterers, restaurants, and stores have enjoyed the perfect solution for containing, presenting, and dispensing dry foods and ingredients such as cereals, coffee bins, candies, snacks, and the like. 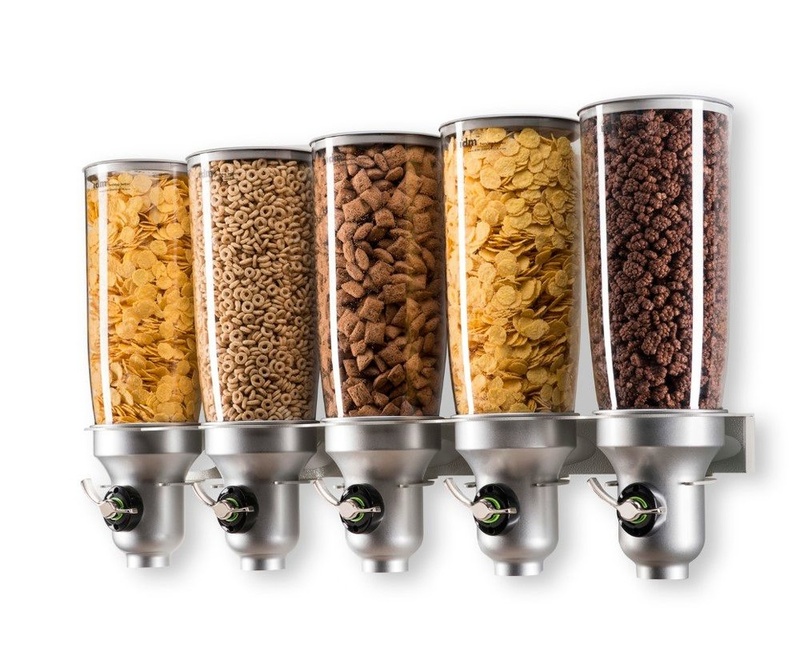 Envisioning a world of dispensing possibilities that rely on preserving freshness, esthetic style, and leading hygienic properties has led the founders of IDM to gather around them a team of top developers, engineers, and marketing professionals, to create a new line of solutions. 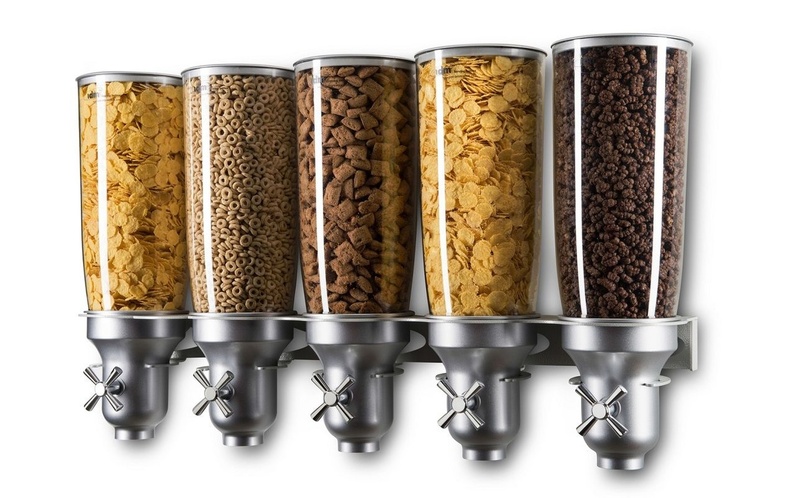 Variety is the name of the game, and it shows in each and every one of our dispenser models, mechanisms, and designs, combined with top engineering to make our user community`s life easier and simpler. 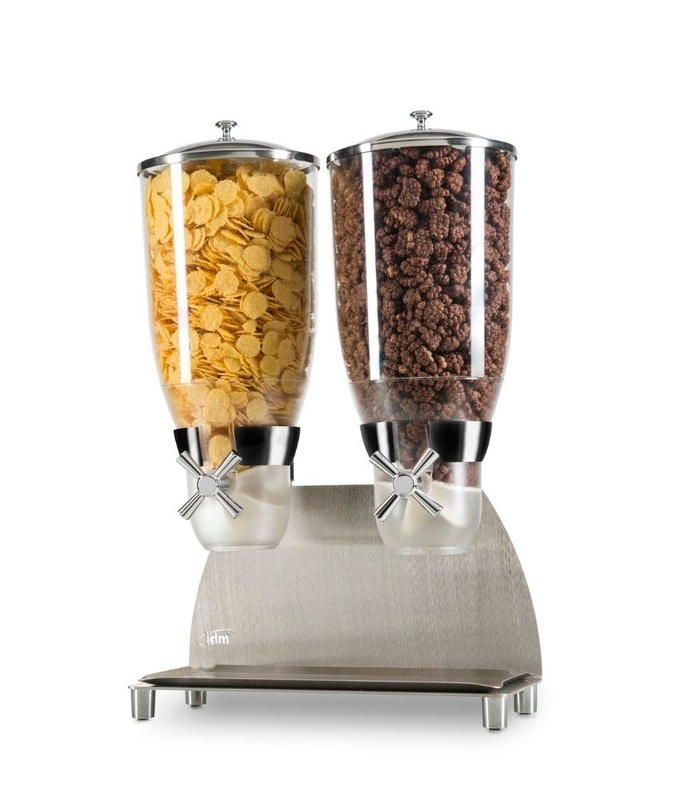 It is not to be taken for granted when you get down to the dining room at your hotel, and see a wide and inviting range of dispensers, all lined up on the long table in front of you, calling you to just twist the handle and have your bowl filled with a bounty of cereals or snacks. 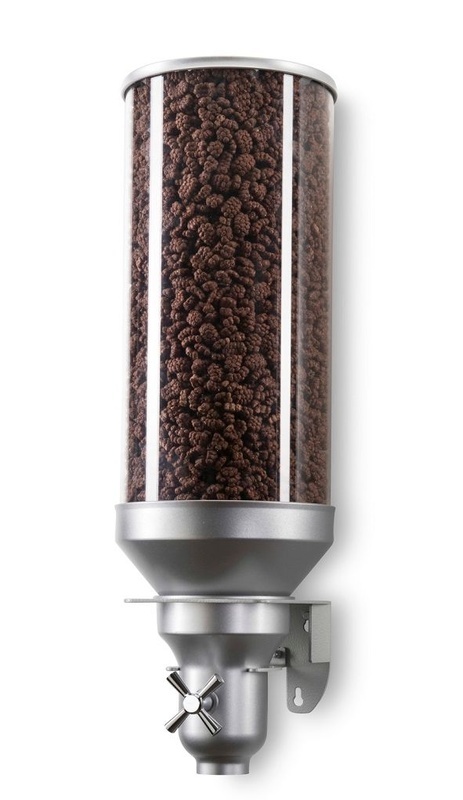 The sound of the tiny pieces piling up reminds you that there is a whole beautiful day ahead of you to make the best of. 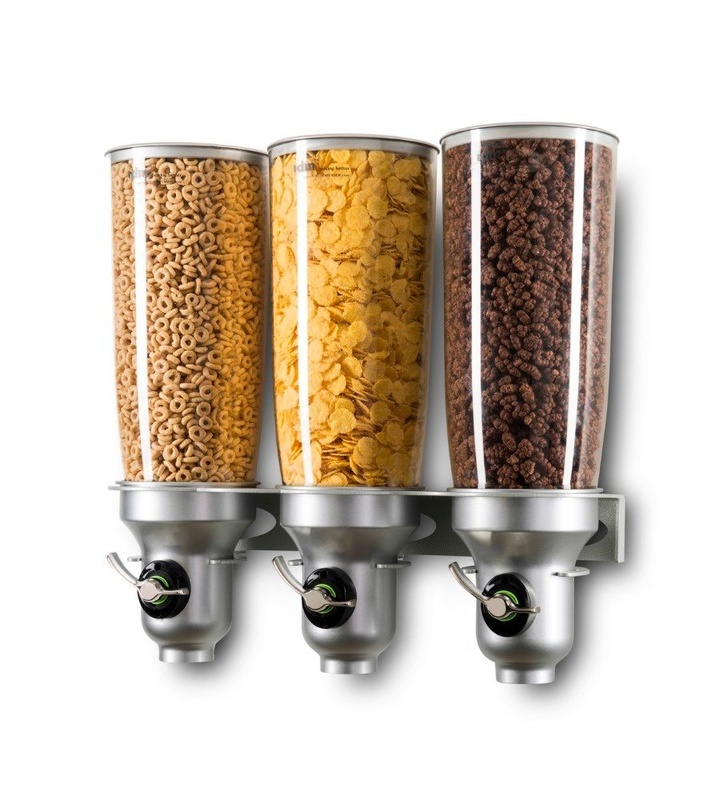 Freshness is what it is all about when it comes to food, feel, and especially coffee, and it all depends on those beans in the dispenser… The same goes to your home or office of course, as the food surrounding you always has to be hygienically and conveniently contained. 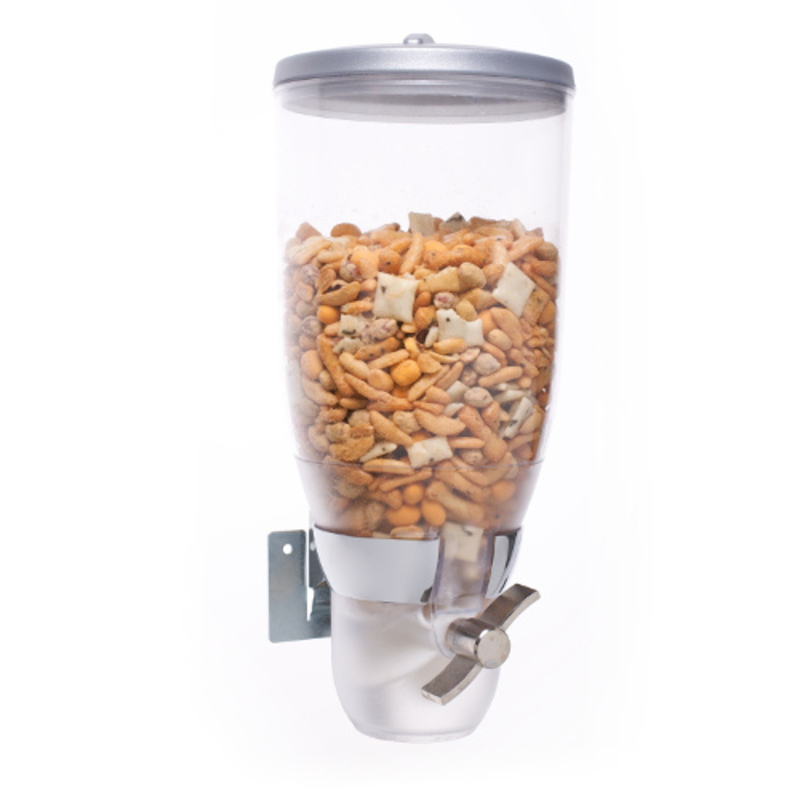 We invite you to join us and experience a more enjoyable and fluent daily routine.